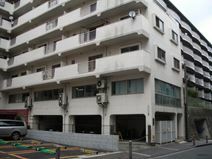 This recently opened business centre provides open-plan offices in an excellent location within the heart of Yokohama. Excellent transport links serve the area with easy access to post office, banks, restaurants and shopping areas. 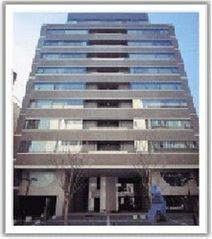 Fully equipped offices of flexible sizes located in the prominent business centre of Yokohama. A few minutes’ walk from public transport (train, subway and ferry), with Landmark Tower, Minatomirai, Ken-cho and other public amenities close by. The centre is in Kinkocho, Yokohama. You can access the centre easily by 3 Chome-1 Kandaiji Bus Station or by the Higashi-Kanagawa main line train station. The centre is in a very convenient location. An office space that offers a number of office solutions for your business, this centre offers co-working, private office and virtual office solutions on flexible and affordable terms. Support your business with the infrastructure this centre offers, and on-site staff that are on hand to assist with administrative and reception support. Located among many large-scale buildings this centre is close to the train station and provides good access to Haneda Airport. Tokyo Mitsubishi UFJ Bank are situated on the ground floor. The centre is in Minatomirai. You can come to the centre by JR or by Minato Mirai Line at Shin Takashima Station. 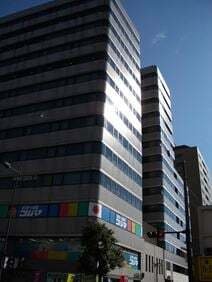 The centre is also close to Minori Mirai Street. An office space that offers a number of office solutions for your business, this centre offers co-working, private office and virtual office solutions on flexible and affordable terms. Support your business with the infrastructure this centre offers, and on-site staff that are on hand to assist with administrative and reception support. The tallest building in Japan, known for its well-developed infrastructure with a disaster-proof building design. With the high level of security available this building is perfect for Data Centres and Back-up offices. Located in Yokohama, just 20 minutes’ drive from Handea Airport and a 3 minutes’ walk to Minatomirai station. Set on the edge of the traditional business district area of Kanagawa this flexible office space is surrounded by government buildings and offices as well as a large number of import and export companies. Only a few minutes" walk from JR Kannai and Kannai subway stations. A fantastic building in the centre of the city’s modern and bustling Minato Mirai 21 district, it overlooks Yokohama’s stunning Pacific Ocean coastline and the iconic Bay Bridge. A minutes’ walk to Sakuragi-Cho Station with retail, dining and hotel options on hand. Direct access to Tokyo just 20 minutes’ away by train. This office space is made perfectly, right down to the fine detail to increase the quality of the time workers spend on the job. Full-time reception concierge staff provide support during tenants' business hours, including attending to visitors and taking messages when you're out and receiving mail and parcels. The office is located in the middle of the Shin-Yokohama business district, where you have great access to the Tokaido Shinkansen Bullet Train Lines that connects you to the major cities of Japan. This centre is situated 5 minutes away from the Shin-Yokohama Shinkansen Exit, and provides smart, efficient office space, ideal for entering into the Tokyo Market. Our business lounge is comfortable and will enable you to use your time effectively while waiting for the Shinkansen. This office building is located in an area undergoing massive redevelopment within the Station Area, the main central business district of Yokohama City. Few minutes’ walk to Yokohama station connecting to five main transport lines. Open-plan offices located in the heart of Yokohama's business centre. Excellent transport links (JR, subways and high-ways) with banks, shopping areas and restaurants easily accessible. Opening soon - Situated in Ocean Gate Minatomirai and surrounded by an array of restaurants, retail venues, and entertainment facilities lies this creative coworking oasis. Just steps away from the relaxing waterfront of Rinko park, this center combines spacious, living room style breakout areas with phone booths and private offices to suit teams of all sizes. The perfect space for commuters, as this space has convenient access to Minatomirai Station just downstairs that connects right the way to Tokyo.